Need more space? Store with us. No minimum contract, No deposit, stay as long as you like! Great Priced containers starting at £25 + VAT per week. Conveniently located between Ashford and Canterbury on A28, near Wye. 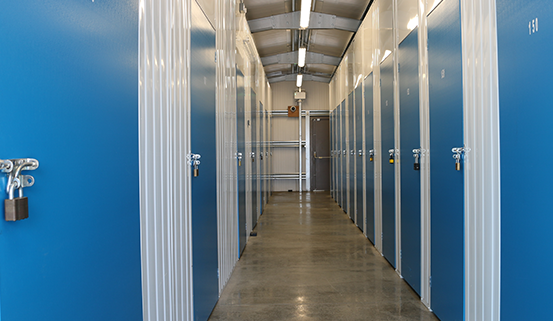 Bilting Farm Self Storage have been providing secure storage facilities to Ashford and Canterbury in Kent for over 10 years. All areas are safe and secure; monitored by police – approved CCTV, with swipe card access to storage rooms. Each room is secured with your own padlock to which only you have the key. Our storage prices are great value, starting from jus £7.31 per week plus VAT. We have self storage rooms from 25 to 75 square feet. We also have larger containers which will hold the contents of a four bedroom house. OPENING HOURS: Mon-Fri 7am - 7pm, Sat: 8am - 1pm. Closed on Sundays and Bank Holidays. What size self storage do you need? Sometimes, it can be difficult to figure out what size storage unit you will need… So, here’s a handy guide! Contents of a garden shed / 50 archive boxes / business marketing stationary or hobby equipment such as bikes, skis, golfclubs etc. 1 bed flat or 150 archive boxes. An average 2 bed flat, 1/2 bed house, 250 archive boxes etc. This is about the size of a single garage. 3 or 4 bed house or 450 archive boxes. We sell padlocks and mattress covers to help you protect your stored items. We have rooms from 20 square foot to 160 square foot, all shapes and sizes to suit your needs. All you need is your own padlock for your door, the building is secured by an electronic lock which you are given a swipe card to access and CCTV is on site. The loading area is covered so you will be sheltered from the weather when you load or unload. We are also here if you need any help! We are open from 7am – 7pm Mon to Fri, 8 – 1pm on Saturdays (closed on Sundays and Bank Holidays). 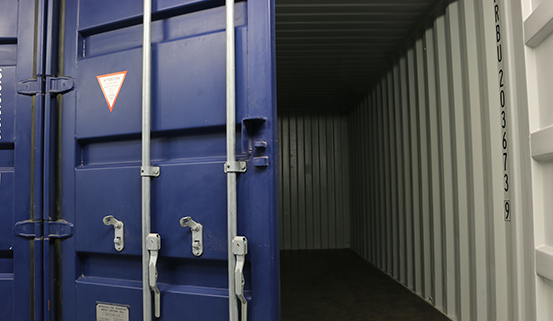 Our outside containers are £25 + VAT / week, or we can provide containers which are housed within a building which are £30 + VAT / week. The containers will store the contents of an average 4 bed house. Archive your documents (we can provide racking for archive.) You can even fit most vintage cars inside! No annual tie-in with costly leases: Take the unit for only the time that you need. We also have pallet and forklift trucks on site to help if necessary! If you have any questions or queries – please do not hesitate to email us. Or pop by: Bilting Farm, Bilting, Ashford, Kent, TN25 4HF . If you need assistance our office is open between 9am and 5pm Monday to Friday and between 8am and 1pm on Saturday, excluding Bank Holidays.